Surly just released a bike called the Midnight Special. It's a drop bar bike with a lot of tire clearance. Sound familiar? About two months ago they released another drop bar bike with a lot of tire clearance called the Pack Rat. In fact, before that, they already had a couple of drop bar bikes with a lot of tire clearance. What's going on? Are all of these bikes just excuses for Surly to invent color names like "Expired Yogurt," "Sweaty Hat," and "Javelin Catcher Red?" Surly excels at putting good products into the world, but they often don't say a lot about them. That's great. The bikes speak for themselves. Unfortunately, we as consumers are under such a deluge of new products that often our attention is diverted to companies that scream for attention. In that environment, Surly's bikes can sometimes be glossed over and lumped together. The purpose of this post is to explain some of the differences between several Surly models that may appear to be very similar. Obnoxiously, marketers invent categories just to sell product. So while we'll be discussing some fine points here, let's not buy into the validity of "lunch ride bikes" or "charity ride bikes" or any of that nonsense. We're going to focus on distinctions that are worth our time. I'll be spending most of this blog discussing the three bikes I've recently spent the most time on, and then at the end we'll broaden the scope to include a few other models. 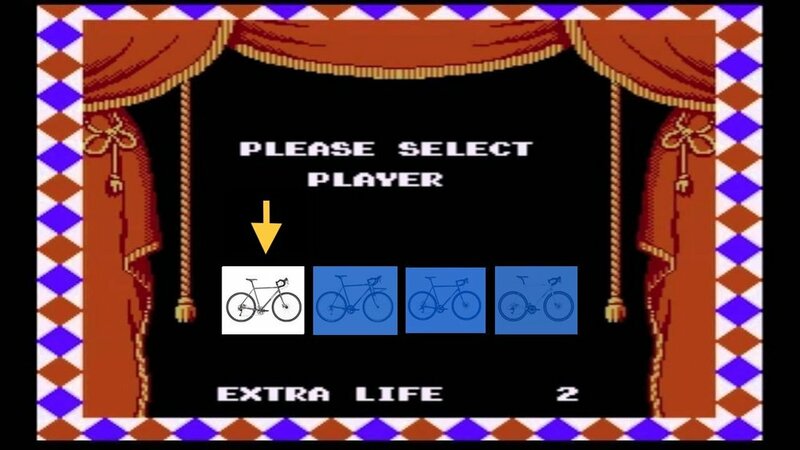 It may help to imagine that these bikes are all characters in Super Mario Brothers 2. You can certainly beat the game with any character, but each is significantly different from the others. 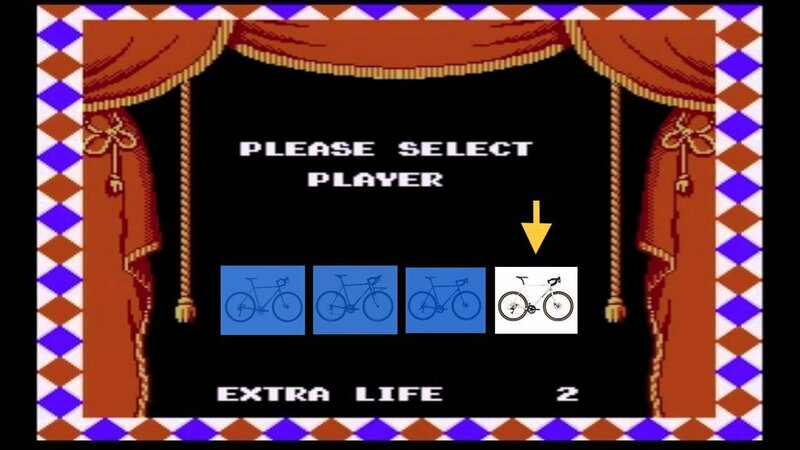 I've arranged the bikes along a spectrum with stability on the left and agility on the right. I've had a Straggler for many years now, and we've been through a lot together. It's seen everything from pavement to single track and hasn't flinched at any of it. I ride it almost every day, am happy to ride it any distance and on most kinds of terrain. It's simple to convert the bike to a singlespeed and so enjoyable to ride that way that you may not convert it back. I have ridden the Straggler into sharp turns with no brakes, assuming imminent death (it's a long story). I haven't asked a bike to corner like that before or since, but the Straggler handled those moments flawlessly. Note: take spare pads with you if you're riding in the mud in Oklahoma. Let's call this bike the Mario of the Surly lineup. It's responsive, but stable. For people who are new to the game, the bike is easy to control and, while being a workhorse, is pretty fast. For advanced players, there isn't a trick you can't do or a secret area you can't get to with this bike. Want to carry turnips around? No problem. Want to carry turnips overhead? That's...weird. The Disc Trucker is a long and stable bike. It's very different from a Straggler. It doesn't want to get rad. It is still fun to ride on dirt, but it doesn't want to lean over or get up in the air. It doesn't want to go fast or slalom through trees or ride over logs. It will do those things, but it would much prefer going on a long tour. The Disc Trucker is a touring bike. It handles like a dream (Mario 2 was all a dream!) when it's loaded. It's a great bike when it's unloaded, and a very comfy commuter if there are no logs to jump between your house and your job. When you look at the Disc Trucker and the Straggler side-by-side, it's easy to see the similarities. Yet I cannot emphasize enough how differently they handle. The frame geometry and the shape of the tubing have astonishing effects on how these bikes feel. We're going to call the Disc Trucker Toad. Toad is strong and doesn't jump well. Can you beat the game with Toad? You sure can. Can Toad carry magic potions and turtle shells and huge keys while remaining fast and agile? Yep. Just don't ask him to jump. *The Long Haul Trucker is identical to the Disc Trucker, but it has rim brakes. The Long Haul Trucker is also Toad. Two Toads! Disc Trucker and giant toadstool. I first saw the Midnight Special in a bar at a Surly event last summer. I stood there spilling the beer I'd forgotten I was holding onto the floor while verbalizing something like, "Oh no," because, well, have you seen the Midnight Special? This bike is new, so I may post a longer review once I've spent more time with it. Yet it only takes a few turns to notice the difference between this bike and the others. It accelerates faster. The handling is superb! The best way to talk about the handling is to talk about making biscuits. Know how it feels to press an overturned glass into biscuit dough that's been rolled out? It's soft and pliant and there's a twisting motion involved and some kind of oddly satisfying vacuum sensation? That's how it feels to corner on this bike--somehow sharp and pillowy at the same time. After I cornered for the first time, I laughed out loud and then swerved all over the street like a maniac, trying (and failing) to find the bike's limit. It's fast. Precise. Responsive. You can't lean it over too far, and it knows your intent in regards to where you want to go and how fast. It may look like a gravel bike, but it's a road bike. It really is. It's also a gravel bike. And also, have you seen the Midnight Special? On our spectrum of stability---agility, the Midnight Special should be as far to the right of the Straggler as the Disc Trucker is to the left. Descending Lookout Mountain, the Midnight Special is unbothered by the switchbacks, even if they're a little sandy. It's really fast, unlike the Princess, but it floats and can change directions in midair, so in our analogy it'll be the Princess. Have I mentioned how well the Midnight Special handles? While climbing Red Rocks and descending Lookout Mountain I had to keep recalibrating my brain. It's like riding bikes while depressing the B-speed button. You will have to pee no matter which Surly you ride. You will have to pee probably because you met up with a bunch of other Surly riders at a brewery. P.S. We'll ride bikes and drink beer with you no matter what you're riding. While the Midnight Special is a road bike, riding snow that's simultaneously bumpy and slushy is no problem (even while taking a picture). Jumping is no problem. Cornering on dirt is no problem. What happens when you ride with 700 wheels? I have no idea, but I can't wait to try. Hopefully we'll have the chance to post another review in the future after we've had more time with this bike. The Pack Rat has to be Luigi because he's the only character left, and they're both green. That's about where the similarities end. To compare it to the other models, the Pack Rat is more stable than the Straggler (especially with a loaded front rack), but has a shorter wheelbase than the Trucker and feels snappier. While Surly rightly places this bike in its touring category, we here at Yawp! see it as an upgrade for the Cross Check. Sure, the Straggler is also kind of an upgraded Cross Check, too, but the Pack Rat is a little less expensive than the Straggler. Many of the people who use Cross Checks for commuters and urban bikes might find the Pack Rat well suited to their needs. Higher volume tires smooth out rough surfaces (I don't know about the rest of the country, but Colorado's pavement is rugged as a cowhand), and the stock parts spec is really great. Integrated shifter levers are easy to use, and the included 24-Pack front rack alone makes the Pack Rat a great value. The bike is designed around a front load, so there's no wheel flop when that rack is weighed down. If those descriptions don't help you sort things out, here are some helpful slides from Surly. I've used many of these bikes beyond their recommended surfaces, and things have almost always turned out fun. However, these graphs provide useful guidelines (sorry about the arm intruding into the last photo). To recap: the game is fun no matter which character you select. Some characters are probably better suited to you than others. Beware dinosaurs spitting eggs, and throw your vegetables.